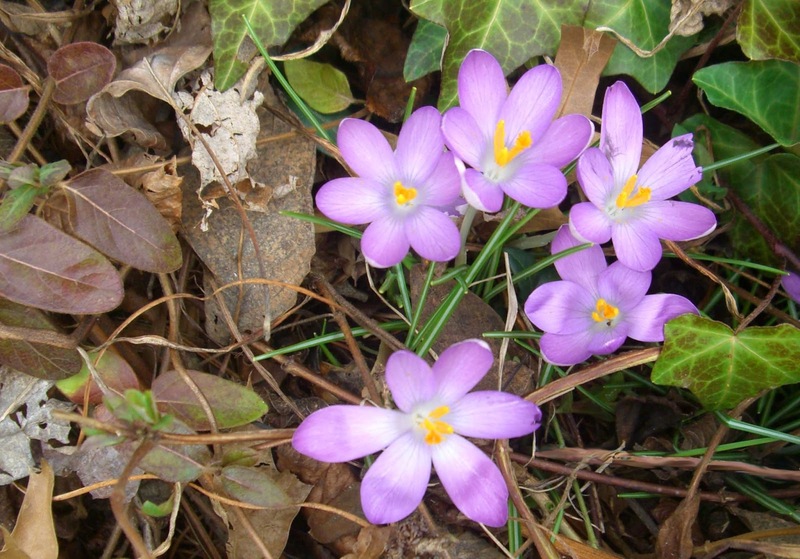 Just a few more minutes of light each day is enough to set off the inner clock of the crocuses. Suddenly they emerge from the grass or the leaf litter under bushes and trees. This week, they have spread their petals wide, capturing light within their deep little lavender-edged cups. Where their was nothing, suddenly there is something: the humble little blossoms that are one of the earliest of the many miracles of spring.